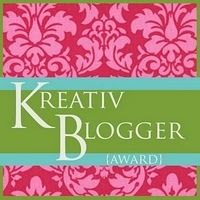 I just received notice that the KREATIV BLOGGER AWARD has been given to me by Laura Sassi, children’s writer and poet. Laura's blog, http://laurasassitales.wordpress.com/, includes writing tips and guest blogs from other children's writers. Thanks for the nomination, Laura! I'm delighted to receive this award and to pass it along to others. 1. I love peanut butter in all shapes and forms. Crunchy? Yep. Smooth? Of course. Inside Reese's cups? Definitely. On apple slices? You bet. In sandwiches? Duh. I lurve me some mashed up peanuts. 2. I usually begin new writing projects in a spiral notebook. Then when I know where they're going, I transfer my notes to the computer. I have LOTS of spiral notebooks. 3. I love nature. Bugs, animals, trees, dirt, wind, birds...I love it all. (Which is probably why I also love science.) I have to confess, however, that I'm not that crazy about bodies of water, unless they're fishing ponds where the bass are biting or our local pool. Guess I'm a landlubber at heart. 4. I adore reading aloud to my kids. There's nothing like the shared experience of a great book. When we take driving trips, we stock up on books on CD from the library and let someone else read to all of us! We've read lots of great books that way. In fact, I associate many of our vacations with the book/books we listened to on the way there or back. Land Between the Lakes, Kentucky=The Hound of the Baskervilles. Salida, Colorado=The Brilliant Fall of Gianna Z. Mt. Rushmore, South Dakota=The Bunnicula books. 5. I walk a lot. I try to get in five fast miles every day, either outside with my dog or on my treadmill. I do a lot of pre-writing when I walk. If I'm afraid I'll forget an idea by the time I get home, I call my house and leave a message on the answering machine. 6. Dogs like me. The feeling is mutual. 7. I visit my local library at least once a week and usually more than that. Libraries rock! 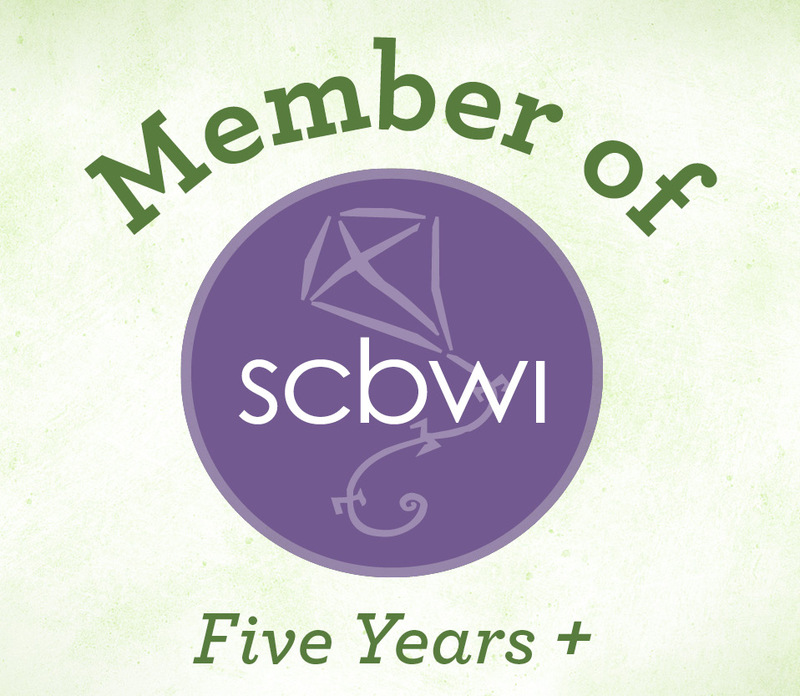 Earlier this year, the SCBWI Regional Advisor for Missouri, Sue Bradford Edwards, asked if I'd write an article for the region's newsletter on how to write a rebus. I'd recently had three accepted for publication by Clubhouse Jr.. I was happy to. Don't know what a rebus is? Then this is the perfect time to learn! Here's a link to the region's website and newsletter. 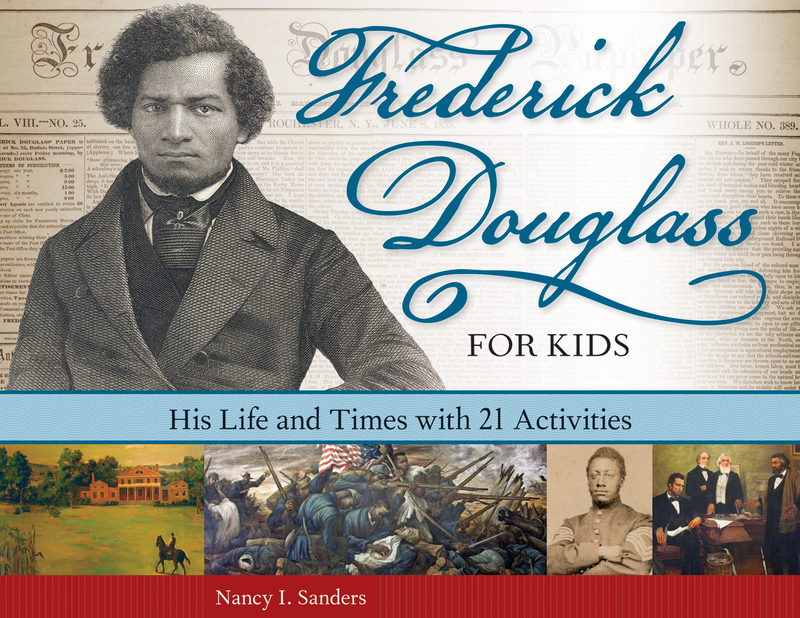 Today I am hosting Nancy I Sanders as she celebrates the June 1 release of FREDERICK DOUGLASS FOR KIDS: HIS LIFE AND TIMES, WITH 21 ACTIVITIES (Chicago Review Press). 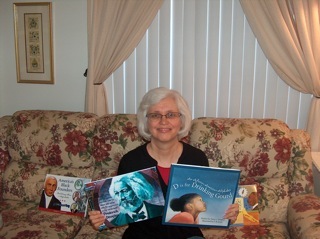 Nancy I. Sanders is the bestselling and award-winning author of over 80 books including the picture book D is for Drinking Gourd: An African American Alphabet, illustrated by E.B. Lewis. She teaches other writers how to launch their career to the next level based on material found in her groundbreaking book for writers, Yes! You Can Learn How to Write Children’s Books, Get Them Published, and Build a Successful Writing Career. Nancy and her husband, Jeff, live in southern California. They have two adult sons, Dan and Ben. You photographed many of the images in your book. Tell us how you did it. I knew that this publisher accepts photographs as part of the finished book, so the first thing I did was send a couple of samples to my editor to see if my digital camera took shots that were of the quality needed to publish in the book. Some were and some weren’t, so I got out my instruction guide to my camera and learned more about how to use the settings on my camera. I knew I’d be working inside museums with low lighting so I especially wanted to see if that would work. This time around, my editor said that the photographs were a much better quality. Then I contacted museum and historic sites to get permission to take photographs and publish them in my book. Some sites required a payment fee and also a permission form to fill out. Others didn’t require anything and gave me permission. Still others don’t give permission to photograph their collections. My publisher requires written permission from every place that shows I have permission to publish photographs from their museum or historic site. For some of these places, an e-mail from them stating they gave me permission was enough. For other places, my publisher had a form for them to fill out. Then, during my trip I took tons of photographs of each thing. I used a tripod a lot, too. This was because I had no way of checking the quality of my photographs until I checked them out on my computer when I got home. I’m not a professional photographer, so I knew I’d have lots of fuzzy images to deal with. In the end, I had lots of clear shots I was able to use for the book. Plus, I use lots of my extras that didn’t make it into the book for posts on my blog and other marketing events. How did you acquire the pictures that you didn't photograph? The Internet is such an amazing resource for authors today! When I’d search for a name or topic for my book, lots of images would come up. I always looked for free images since I’m paying for these myself, and also for images in the public domain. The Library of Congress had a lot of these types of images. Another source that had numerous images for a very low cost was Documenting the American South. They own a lot of historic books that are in the public domain. They have scanned many of the images from their books and now offer them for use in projects like mine for a very low cost. I used a lot of images from them, too. They had a permission form I filled out and then sent me the images to use. Another resource I used was Flick.com. I’d search for a public historic site such as Frederick Douglass’s gravesite in Rochester, and up would come a bunch of photographs people have taken who have visited the site. Then I contacted several of these people and asked for permission to publish their images in my book. I acquired a couple of images this way. Thanks, Nancy! And good luck with your book. 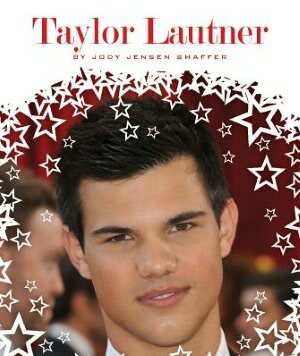 My STARS OF TODAY Book Covers! These biographies for 7-10 year olds are available for preorder now, with an official release date of 8.28.2012 from The Child's World. Thanks for letting me share!